The explosive debut by No. 1 New York Times bestselling author Veronica Roth. DIVERGENT – a major motion picture series. 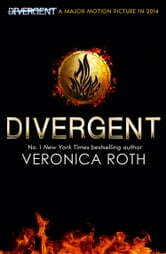 The first book in the DIVERGENT series that has swept the globe – selling millions of copies world-wide. In the world of Divergent, society is divided into five factions – Candor, Abnegation, Dauntless, Amity and Erudite. Every year, all sixteen-year-olds must select the faction to which they will devote the rest of their lives. 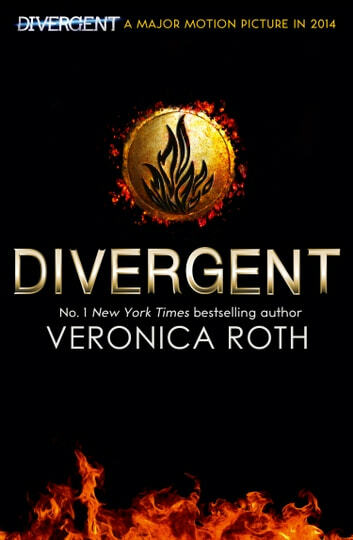 For Beatrice Prior, the decision is between staying with her family and being who she really is. Her choice shocks everyone, including herself. During the initiation that follows, Tris and her fellow initiates undergo extreme physical tests of endurance and intense psychological simulations, with devastating consequences. As initiation transforms them, Tris must determine who her friends really are – and whether she can trust the man who both threatens and protects her. Because Tris has a deadly secret. And as growing conflict threatens to unravel their seemingly perfect society, this secret might save those she loves… or it might destroy her. Debut author Veronica Roth bursts onto the scene with the first book in the Divergent trilogy – dystopian thrillers filled with electrifying decisions, heartbreaking betrayals, stunning consequences and unexpected romance. Wow this an amazing book, well written that your hooked from the start and amazing ending which is unpredictable! Read the whole book in under 24 hours! This book makes read on until i die.Brilliant,amazing and funny. Some saucy bits but i can't wait to start reading Insurgent. Wow this book is fantastic! It's absolutely Amazing! I'm gonna love te movie!